This is a car that’s all about its good looks, especially with the roof down. My first impressions of this car was that it was bulky and sluggish but its charm won me over eventually. The model pictured is the Elite spec which gets you 18-inch alloy wheels, automatic windscreen wipers, a wind break and much more. The lines are sleek and it looks like a Vauxhall, which could lead to some badge snobbery from people who are looking for a comfortable convertible. Even with the roof up, the car looks good, which is more than can be said for a lot of soft top vehicles. 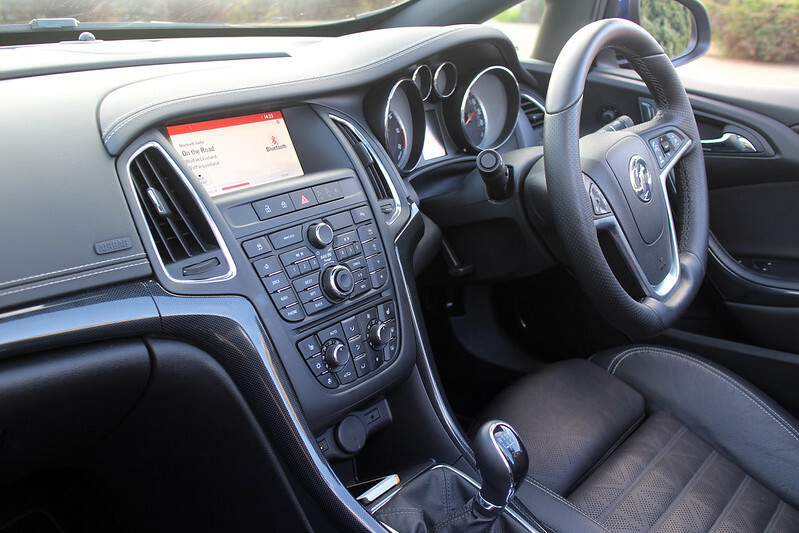 A nice large (heated) steering wheel, heated sports seats and a lot of buttons. I have to say, I prefer a more streamlined cockpit in a car. While the buttons aren’t all that difficult to figure out, just the look of them is rather overwhelming. There’s a lot to be said for a car that comes with three very thick manuals. I had to take them in the house to have a read through before I felt a truly knew what I was doing with the Cascada. 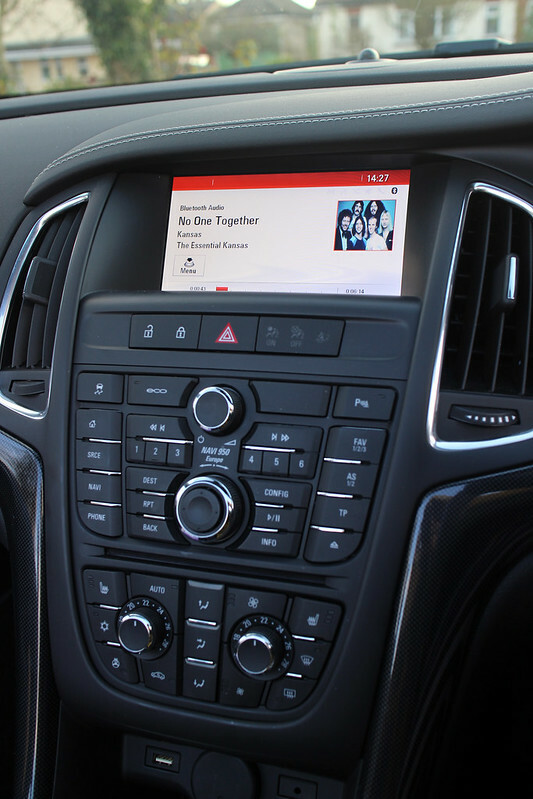 The dashboard itself doesn’t seem to reflect the quality of the rest of the car and the computer doesn’t seem to have the user experience in mind. The rest of the interior, though, is great. The steering wheel is comfortable to use and there are plenty of electronic adjustments you can make to your driving position. I really love the union flag design on the seats too. A lot of convertibles sacrifice practicality for styling and handling but the Cascada tries to balance all this. There’s enough space in the back for two adults and they even get their own cup holders. If you want to ride along with the roof down then boot space is limited (280 litres) but if you intend to keep the roof up then there’s just about room for one suitcase and a couple of small bags (380 litres). One thing that might hold you back with a large suitcase is the width of the boot opening. When on our trip to Birmingham in the Cascada, we had a fair bit of trouble shuffling my, unnecessarily large, suitcase into the boot. I love a heated seat and that feature, alongside the heated steering wheel, meant that it’s not completely out of the question to have the roof down in the colder months. 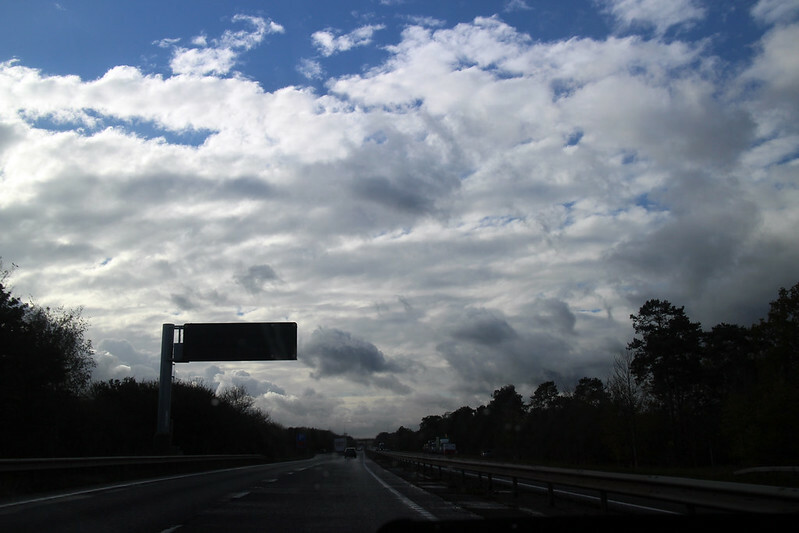 Wrap up warm and feel the wind in your hair, if you get too cold, the roof can be raised at speeds of up to 30mph. The seats are comfortable too meaning that a long drive doesn’t have you wriggling around because your bum has gone to sleep. 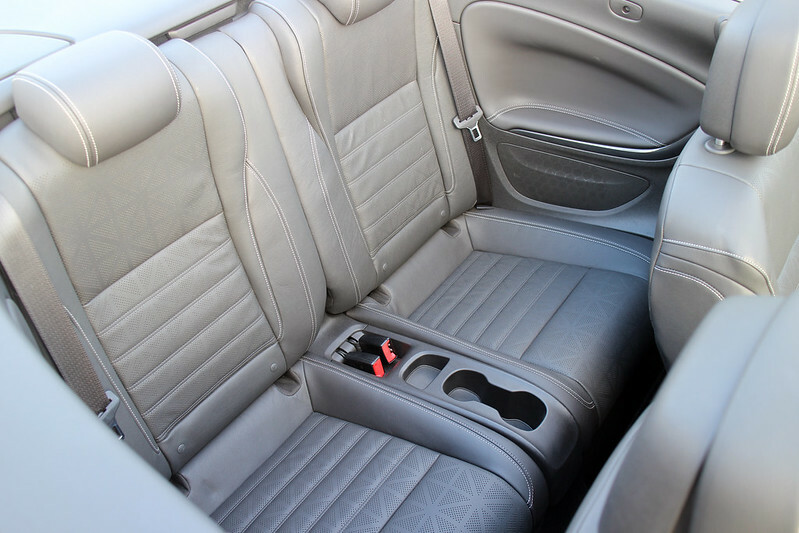 You’re able to adjust the seat height, the angle of the back, lumbar support and also how long the seat cushions are. All this means that, with some fiddling and experimentation, you can get the perfect seat position. This isn’t a sports car and it doesn’t claim to be. The high ride height and sheer weight of the car stop it from being really fun to drive. Once you realise this and sit back and relax in the driver’s seat, you come to realise that’s is a good cruiser for long, lazy Sunday drives when the sun is shining. The 2.0l CDTi Bi-Turbo engine will give 195bhp and it’s needed to pull the weight of the car along. You do get some decent acceleration – enough to overtake on long, straight country roads, at least – but it does feel a bit like your spurring a rhino into a charge. It uses the same front suspension system as the Insignia VXR and while you might think this would make it great for taking quick corners, the way the body of the car moves just makes the whole thing feel unstable when cornering at speed. The nose dives down under breaking and rears up under heavy acceleration too..
Now, I don’t know if this was a problem with the particular car I drove but more than once, when hitting a pothole or bump in the road, the car would pull sharply to the left. Test drive a Vauxhall Cascada for yourself to get a real feel for how it handles. This is a car suited for cruising along (with the cruise control enabled, of course) and watching the world go by. You’ll look stylish and you’ll be surrounded by obvious luxury. This is the kind of car that people will coo over and tell you how lucky you are to have such a car in your life and you’ll be feeling very smug when summer comes and you can cruise along the seafront with the roof down and music playing. If you’re looking for a beautiful convertible that’s comfortable to drive and has a thread of luxury running through it, this car is for you. If you want a convertible sports car, perhaps look elsewhere. A Vauxhall Cascada starts at £24,030. The spec reviewed costs around £29,000. Great interior and exterior styling on this car!